Our website visitors and potential clients often ask for more information about solar power, solar grid systems, potential power savings and much more. To help our visitors we have put together a list of frequently asked solar questions to assist with your research and decision making below. Should you require further information please don’t hesitate to contact us, call us on 0508 Solar NZ or request a free quote. 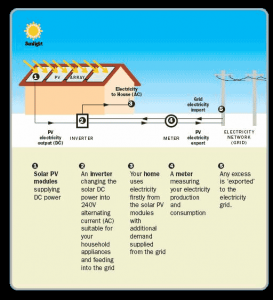 Photovoltaic (PV) systems are used to convert sunlight into electricity. They are a safe, reliable, low-maintenance source of solar electricity that produces no on-site pollution or emissions. PV systems incur few operating costs and are easy to install on most homes. PV systems fall into two main categories — off-grid and grid-connected. The “grid” refers to the local electric utility’s infrastructure that supplies electricity to homes and businesses. Off-grid systems are installed in remote locations where there is no utility grid available. Q: How does a Grid Connect Solar System work? A grid-connected solar PV system is an array of photovoltaic panels connected via an inverter to provide power for your home, with excess power being fed back into the National grid. During the day when you are producing power from your system, the power flows to your main switchboard and it firstly powers everything you are running on electricity at the time. If your solar power system is generating more than you are using it goes back down the power lines through the “import/export” meter, that your power supply company has installed, this is registered by your meter as an export of power. If you need more power than you are generating at the time the reduced amount that you need comes down the lines from the power company and is registered by your meter as an import of power. Your power company will credit you for exported power and debit you for imported power. At night, when the solar panels are not producing electricity, the electricity comes to you from the grid. If you export enough power during the day, it could balance or exceed the amount you draw from the grid at night. It’s really that simple. You sell power to the power company when you are generating more than you need and buy power from them when you need it. Q: How does the power company pay me? Your power company will provide you with two types of tariff. An import tariff for what you buy power off them and an export tariff for the power you export back to the grid. They will credit your power account regularly with the amount you have exported and this comes off your power account. Power companies do not actually buy your power and give you money for your power; it is a credit to your power account. The amount you will pay for your power and the amount you will be credited for your exported power is between you and your power company. All power companies offer different tariff rates and just as with your normal power account it pays to shop around for the company with the lowest buy price (import tariff) and the highest sell price (export tariff). You cannot buy your power from one company and sell it to another. However some power companies will allow you to transfer your credits to another power account with them. This way if for instance you have a holiday home with a perfect roof for solar, you can install a system, use the power when you are there and credit it against your home account when you are not using it. Q: How much could I possibly save on my power bill? As an example of average performance of a solar power system a 2Kw system will generate 2 Kw hours of power for every full hour of sunlight. NIWA sunshine hours statistics show that in summer, in Auckland, the average full hours of sunshine a day is 6.5 (October to March) and the average daily winter sunshine hours is 4.6. In the summer a 2 Kw system could be generating around 12 Kwh per day. In the winter the system could be generating around 9 Kwh. We recommend using 5 hours for your calculation as a reasonable annual average. This equates to 10Kwh a day which equals 3650 Kwh a year and at 25c this is $912.50 value of power. There are other potential savings from lowering your power usage, as most power companies have “low user” tariffs, which can save you money on fixed daily line charges if you use less power. 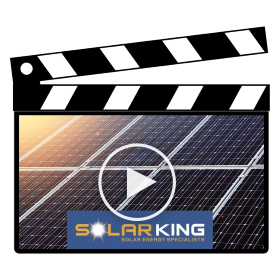 Your SolarKing sales consultant can advise you of some of the available tariffs or you can contact your preferred power company. 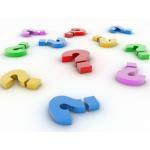 Q: What are the Benefits of a Solar P.V. System? Solar PV systems generate free electricity. Solar electricity is generated without emitting greenhouse gases. Solar panels are silent, without any moving parts. Solar panels are generally unobtrusively mounted on an existing roof. Solar panels can be integrated into the existing building, mounted on the roof, garage, pergola, or where space allows, a ground based system. 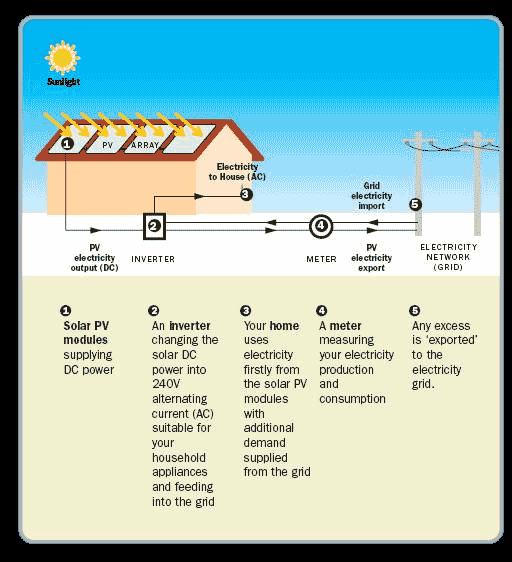 The solar electricity produced can supplement or provide all your electrical consumption. Solar electricity can be fed back into the grid. Additional solar panels can be added later as demand or budget grows. A solar panel should last for at least 25 years. With electricity prices rising and only expected to get higher, generating your own power directly from the sun makes complete sense and will give you more control of your home power bills. 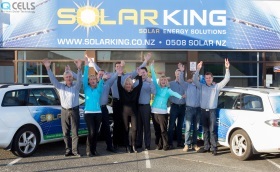 For further information call us on 0508 Solar NZ, Contact Us or Request a Free Quote today.